UT FRUIT SPECIALIST DR. DAVID LOCKWOOD SAYS TN’S PEACH CROP IS TURNING OUT VERY GOOD THIS SUMMER. THE AMERICAN FARM BUREAU FEDERATION IS serving up a July 4th Picnic Survey for you to devour. NOT ALL INSECTS ARE BAD, Some insects help us in our daily lives in a variety of ways. USDA’S Rod Bain HAS THE STORY. AFTER LAST WEEK’S HEAVY RAINFALL EVENT IN MIDDLE AND EAST TN, FARMERS ARE STILL FEELING THE EFFECTS. 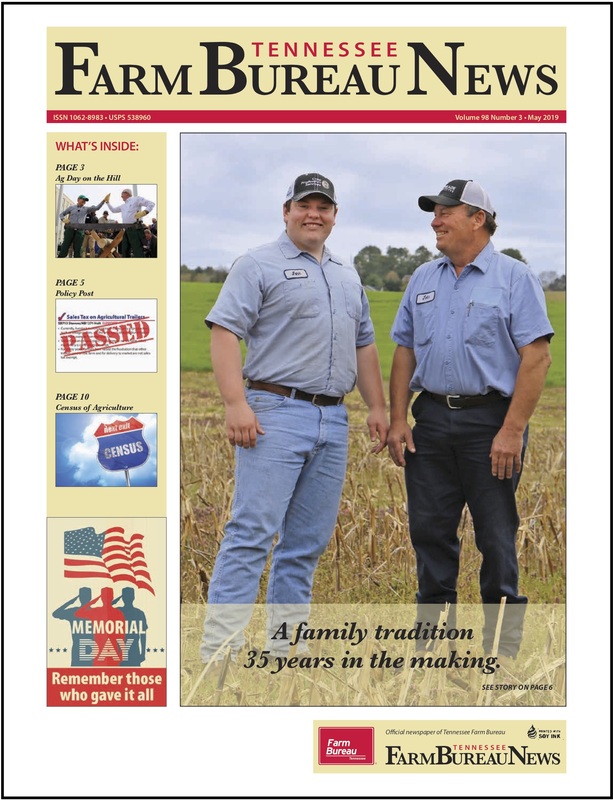 ROW CROP FARMER DOUG SINGLETEARY AND HIS FAMILY AT CHILDRESS FARMS IN DYER COUNTY HAVE ADDED A NEW CROP TO THEIR OPERATION THIS YEAR. Tenn’s 42nd Annual Junior Beef Exposition. 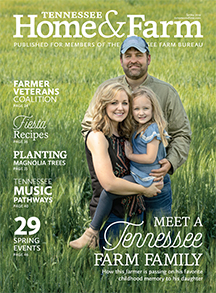 Tenn. Young Farmers face many challenges to stay profitable and remain on the farm. A Dickson County Young Farmer is trying something new this year, organic burley and dark tobacco. IT USED TO BE MUCH EASIER TO GET A FARM BILL PASSED, BUT NOT THIS ONE. Just how much do you know about USDA’s National Agricultural Statistics Service? Brandon and Katherine Whitt of Rutherford County were named as the Tennessee Farm Bureau’s Outstanding Young Farmer and Rancher Achievment Award winners. A pest of soybeans in the deep South is rapidly on the move to other soybean areas. Gary Crawford has more.